I have applied for this exchange to learn more about the culture and the history of Kastellorizo, after being inspired by stories told by my parents and grandparents. I look forward to making new friends and experiencing what it’s like to live on a small isolated island. I love the concept of trying new experiences and nothing could be better than going to Kastellorizo, the homeland of my great grandparents. I am so excited to have the opportunity to fully immerse myself in an environment and culture that not only my great grandparents originated from, but also many aunties and uncles. I know it will be a rewarding and maybe a challenging experience, but I’m super excited. I can’t wait also to return and share my wonderful journey with my big fat Greek family! 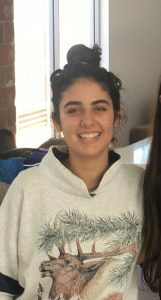 I am 15 years old and I have Greek heritage from my Dad’s side of the family. I have been to Greece and Kastellorizo was my favourite place to visit. I love learning about different languages and cultures and I know how important it is to my family, to keep practising traditions and understand where they come from. My great-grandmother is from Kastellorizo and her house is still on the island. I am excited about learning more about Kastellorizo from the people themselves and am also looking forward to making some new friends. 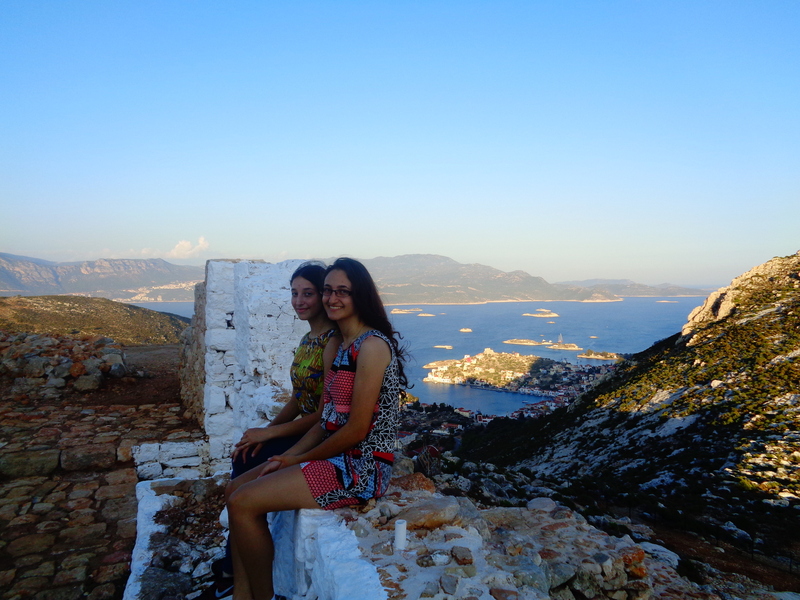 Τhe following students from Kastellorizo have been selected to be part of our Student Exchange Program for 2018. They will be visiting Perth, Melbourne & Sydney from the 9th to the 29th July to experience the Australian lifestyle. Read the post here. It is a dream of mine to visit Kastellorizo to see where my family originated from in Greece. I have heard many stories and want to experience life on the island. I am really interested in the history of Kastellorizo and want to learn more about the people and what happened to them during the war years. I also really want to visit the grotto, as I have heard so many stories about the beautiful colour of the water and I want to experience authentic Greek food on the island and do lots of fishing. My name is Kristina. 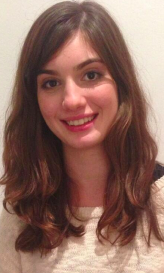 I am 15 years of age and my mother is Greek Australian and my father is Scottish/English. I love being part-Greek and always involve myself in the Greek heritage. Greece has always fascinated me and I am very keen to travel to Kastellorizo as my great, great grandparents and my great grandparents were born there. I have always been interested in Kastellorizo from a little girl, as I watched my mother’s wedding video and saw my great yiayia singing the old wedding songs to my mother. I also experienced watching a Great Aunt singing the wedding songs to my cousin. There is a family house still standing on Kastellorizo. I would love to experience this life time memory. My yiayia has lived with me since I was three years old and she has taught me many Greek recipes from the island which I would love to learn more about and pass down to future generations. My yiayia has told me many stories and traditions from this island. I will cherish these memories forever and I recognise that it will be an honour and privilege to be part of this program. My name is Matthew Zounis. I haven’t yet to been to Greece, but I am proud to say that it is part of my heritage. I love Ancient Greek History and Mythology. I would also like to learn more about the history of the island as I am very passionate about history and being able to experience it firsthand will bring history to life for me. I would also love to learn more about the culture and traditions, as well as how their everyday life compares to ours. Being able to go to Kastellorizo and see where my great grandparents lived, grew up and worked would be a magnificent privilege. Because of my passion for history, I hope to become a Historian or History teacher, and there would be no better way to teach my students other than recounting the firsthand information and knowledge that I would gain from this experience. It would be a wonderful experience to learn how to converse in Greek, because it would make conversations at home with Yiayia and Papou a whole lot more interesting. I love my grandparents a lot, but one of the best bits about going to visit is the food. Whilst Yiayia is an amazing cook and can cook the most delicious Greek food, it would be a pleasure to try the local cuisine. 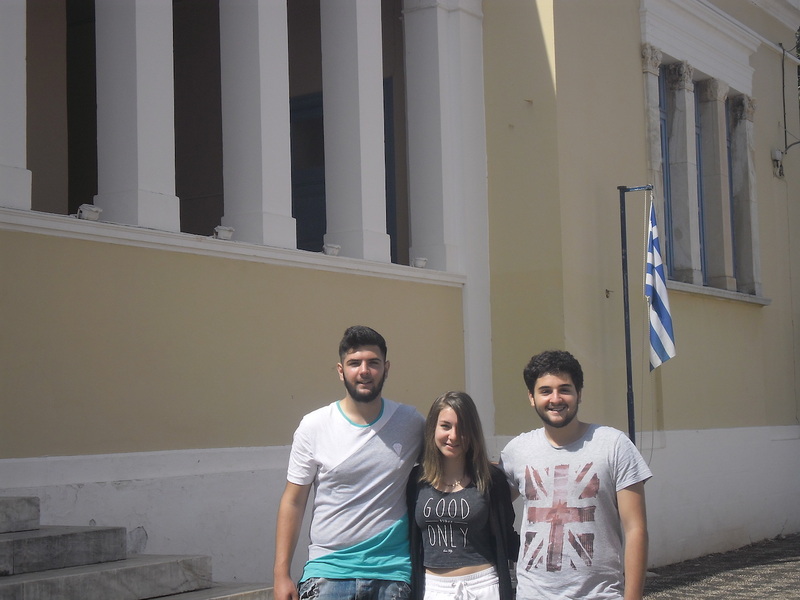 Pantelis Amydalos, Despoina Papoutsi and Alexandros Ntervisi have been selected for the 2016 Student Exchange Program. They will be in Australia from 23 July until 20 August. Demi Sipsas on the left and Maraya Takoniatis on the right. Click here to read their comments before they went to Kastellorizo. Click here to read their articles on Filia after they returned. 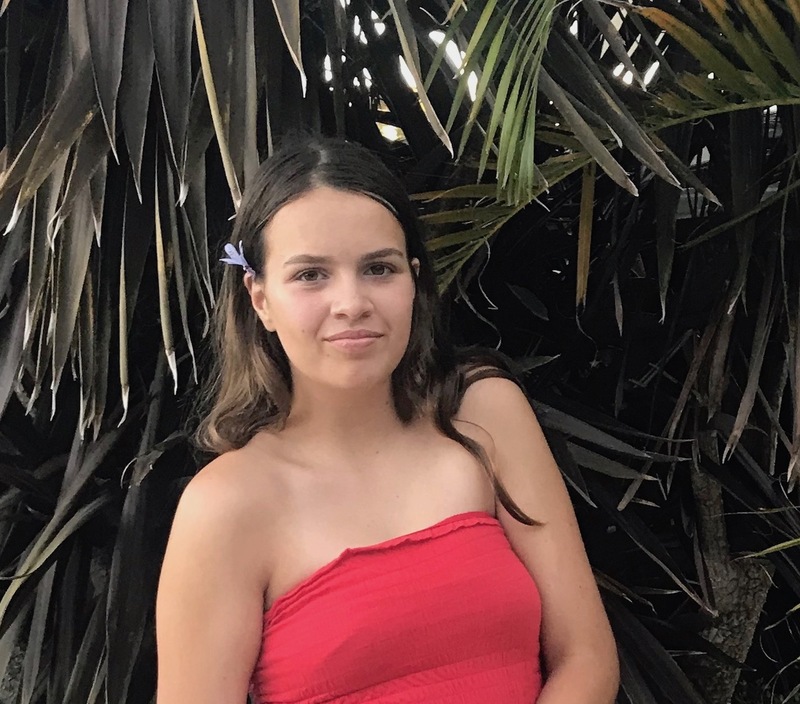 Evi Asvesti from Kastellorizo/Rhodes was selected to take part in the Friends of Kastellorizo Exchange Program which taught her so much about the multicultural way of life that forms the Australian nation. 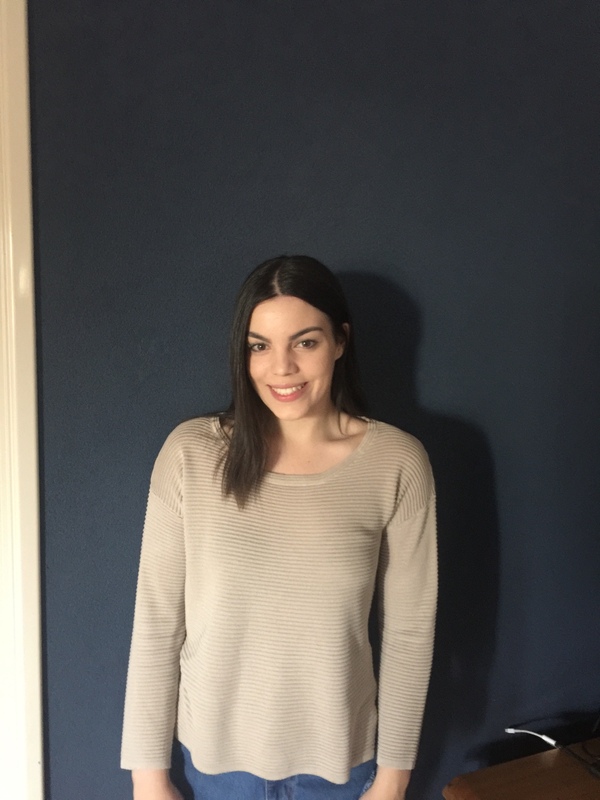 She embraced it all with openness and appreciation that made her a perfect candidate visiting Perth, Adelaide, Melbourne, Canberra and Sydney for a 3 week exchange program. Congratulations to Jayden Black, Marie-Claire Phillips and Sophie Tived on being selected for the Student Exchange to Kastellorizo in September/October 2013. Hi, my name’s Jayden Black and I applied for the Kastellorizian Exchange Program for many reasons. My Maternal Pappou, George Palassis, was born there and always tells me stories about the island. I would love to see where my Pappou’s and grandma’s (Margaret Palassis) families grew up and where they lived. I would love to see another part of the world and try something new. I have never been to Greece before which makes me even more eager to go as I have heard fantastic things about it. I really want to learn more about the history of the island and my family. I think it will be wonderful to experience the different foods, language, culture and people. I am very eager to climb the great mountain and I am looking forward to swimming across the, very well spoken about, crystal clear bay (Limani). I would love to experience a different lifestyle and meet new people. I am thankful and very excited about going on this journey. My name is Sofia Tived. 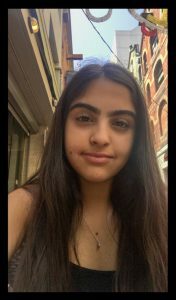 I am 15 years old and my mother is Greek Australian and my Father is Danish. I love being part Greek. Greece has always fascinated me and I have always wanted to visit. I know little about Kastellorizo, except that my family originates from there and my parents got married on the island. I have applied for the Kastellorizo 2013 Exchange Program so I can learn about the culture and how it’s different to my culture here in Australia. I also applied so I can experience the language and research my family history. Being part of this program would make my grandmother very proud. It would be a privilege to attend the Kastellorizo 2013 Exchange Program. As an average teenage girl, I wonder where my family come from; because my maternal grandfather died when I was too young to understand and appreciate his stories about growing up on Kastellorizo, and even though my other grandparents were not born there, they still had a close relationship to the island as their parents were born there. Now because I’m older, I am hearing and appreciating all the stories my family and extended family are telling me about their experiences on the island when they travel there. I’m also looking forward to see Kastellorizo not from a tourist’s perspective, but from a perspective of someone who actually lives on the island and knows its secrets, best locations and where all the locals go. I am so grateful to have been accepted into this exchange programme and I cannot wait to gain so much knowledge and experience from it. 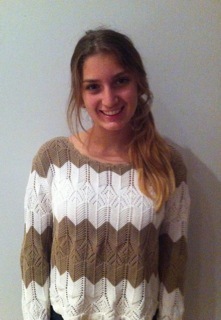 Eleni Karavelatzi has been selected by the Principal of Santrapeia School to take part in the Inter- cultural exchange between Australia & Kastellorizo in August 2012. She is the daughter of Nektarios & Irini Karavelatzi. Many exciting cultural, educational & social events are being organised for her four week visit to Australia. Thanks to the City of Perth and Harvey Stockwell from Sydney for their sponsorship. AFK would also like to thank Stratos and Amelia Amygdalos for providing accommodation at Poseidon Apartments.exchange. No doubt you would have noted that AFK advertised extensively for this Student Exchange Program nationally, so we were a little disappointed to only receive applications from Perth students. We encourage young people from all States and Territories to consider this as a wonderful opportunity to understand more about themselves and their cultural heritage. My name is Ethan Koustoukos. I am very proud of my Greek heritage. My late pappou was Tony Koutsoukos and I used to enjoy the time I spent with him when I was young. I would love to find out more about my Greek heritage, particularly the culture and language. The trip to Kastellorizo will help me to understand the missing pieces of my background. I am very interested in finding out more about my pappou’s family and the island his family originally came from. I expect to get an experience of a lifetime because I would not be able to visit Kastellorizo without being part of the Student Exchange Program, as my family would not be able to send me at this time. It would be a privilege to be a part of this program. My name is Phillia Bakaimis. My maternal grandparents were born on Kastellorizo. I am a very proud Greek Australian and I always make sure everyone knows that I am Greek. I love being Greek and having fun with my family and friends. I have learned a lot about my heritage from my grandparents and parents. Growing up with my father speaking Greek all the time has been good as it has helped me learn the language. I have chosen to apply for Student Exchange as Greece is my favourite place in the world and Kastellorizo is in my blood. I am always interested in learning more about the history of Kastellorizo. My grandmother has told me stories about the history and can sing the old wedding songs. I still have a family over there, and there is a family house still standing, although not inhabitable. To be able to go to Kastellorizo would be an amazing experience. My name is Nathan Kagi. My maternal grandmother was born on Kastellorizo. Although I visited the island when I was 11, I loved it so much – the food, the people, the culture, the environment – I would like to improve my understandings of my heritage by going back there. My mum told me where my grandmother was born and showed me the house. She told me more about the history of the family and a little about the history of the island. When I got back home I looked into the history in more detail as a geography project. Also, if I were to go to Kastellorizo I would hope to take in more knowledge of the language as it has been a wish of mine to speak fluent Greek. I am keen to see the island again, especially since I am older and hopefully, can learn more about my heritage. 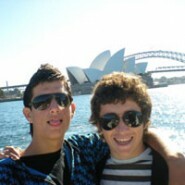 Two boys, Konstantinos Amygdalos and Ilias Martalas, were selected to participate in the Student Exchange from Kastellorizo to Australia from late July to mid-August 2010. Read about their time in Australia in the 7th (December 2010) edition of Filia. 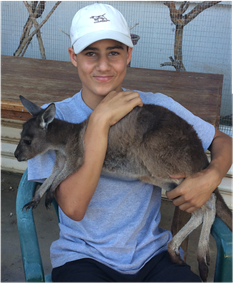 The Student Exchange Program is sponsored by the Voudouris family of Darwin, Northern Territory of Australia. 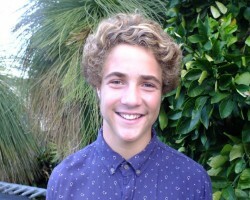 Two boys from Australia were selected as part of AFK’s Student Exchange Program to Kastellorizo in 2009. 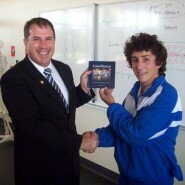 Yanni Ragousis and Anthony Komninos from St Andrew’s Grammar, WA benefitted greatly from this experience. Please read their responses in the latest December 09 edition of Filia. 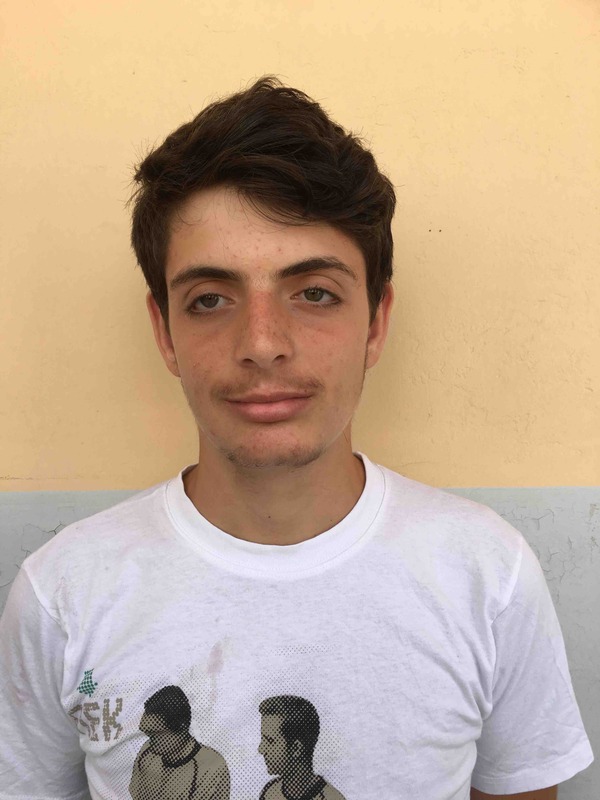 You can also download Anthony’s written piece about his experiences on Kastellorizo. 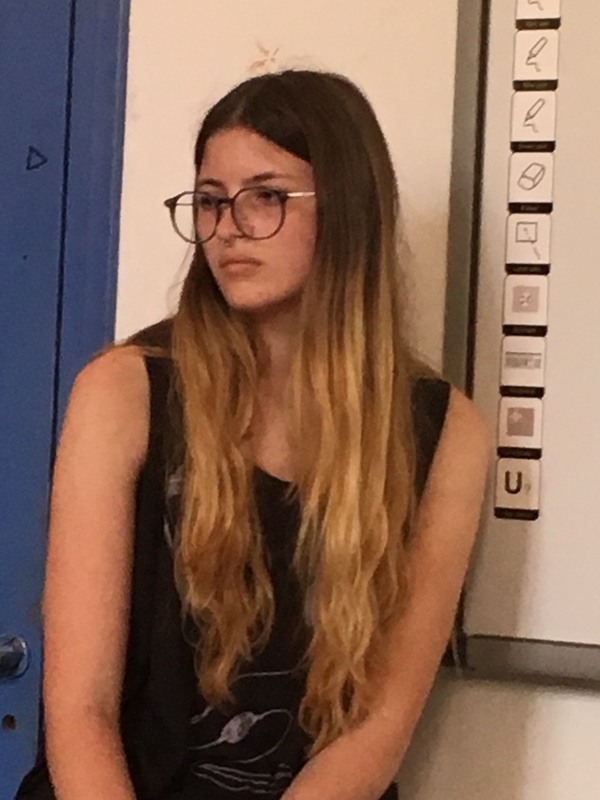 Arrangements are now in place for two 17 year old students from the local school on Kastellorizo to experience a one month student exchange in Australia in August this year spending time in Perth, Melbourne and Sydney. The local Principal, Betty Mouzak and AFK Co-ordinator are presently arranging the logistics of this exciting program. Participating in this project are St Spyridon College of Sydney, St Andrew’s, Perth and St Anargiri, Oakleigh (Melbourne). 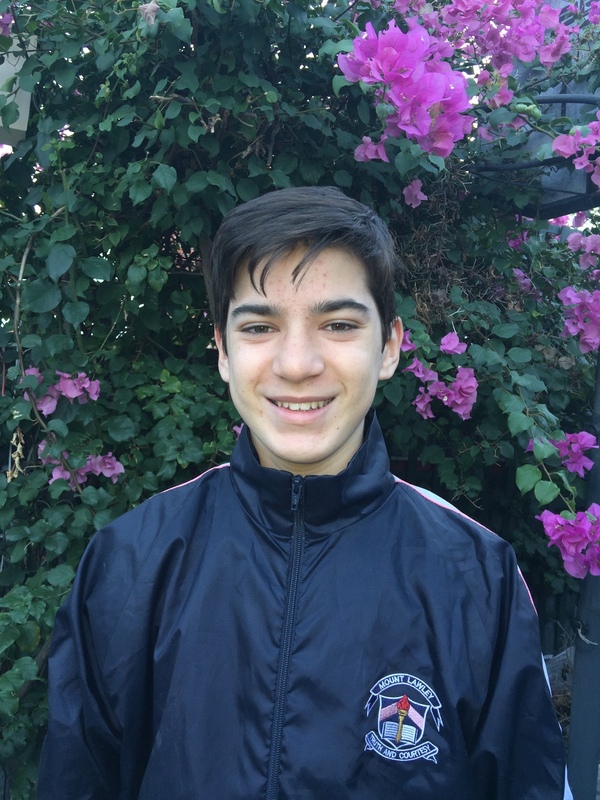 Alexandros Metollari and Panayotis Zamagias are very excited about their trip to Australia during the month of August which is sponsored by the Australian Friends of Kastellorizo. They will be visiting Perth, Melbourne and Sydney as guests for three weeks in Greek Orthodox Schools in each of these capital cities. The boys went to St Spyridon School on Monday and Tuesday 18th-19th August. On Wednesday they went to Taronga Park Zoo which was a real highlight for them. They were over the moon at not only seeing kangaroos, but at also being able to pat one of them. Later that day they walked through the Botanic Gardens and along the foreshore of Farm Cove to the Opera House where they looked around before they walked along Circular Quay. They also went to the restored and beautiful Customs House which is now Sydney City Library. 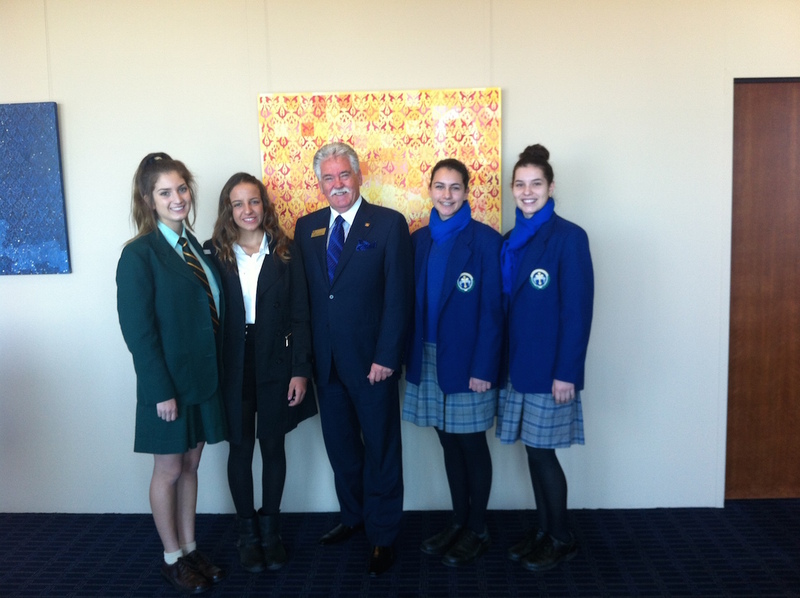 Thursday 21 August they went to the Art Gallery of New South Wales, St Mary’s Cathedral and the Australian Museum. It was also a very full day which finished with a visit to the new Bondi Junction Shopping Centre.